Enter this home through the foyer that leads right into this wonderfully designed open floor plan. A large gathering room is centrally located for maximum convenience. A spacious gourmet kitchen and dining area are perfect for entertaining guests or spending quality time with the family. Views from the dining room look out onto the covered lanai. The owner's suite features a luxurious bath and a large double entry walk-in closet. A guest bedroom and bathroom are located just before you enter the main living area. The entire family will enjoy the open kitchen, dining, and gathering areas which allow for entertainment and conversations to continue throughout each room. Two other bedrooms share a bathroom away from the living areas so children and guests can enjoy their own separate spaces in the home. A functional utility/laundry room is also located nearby. 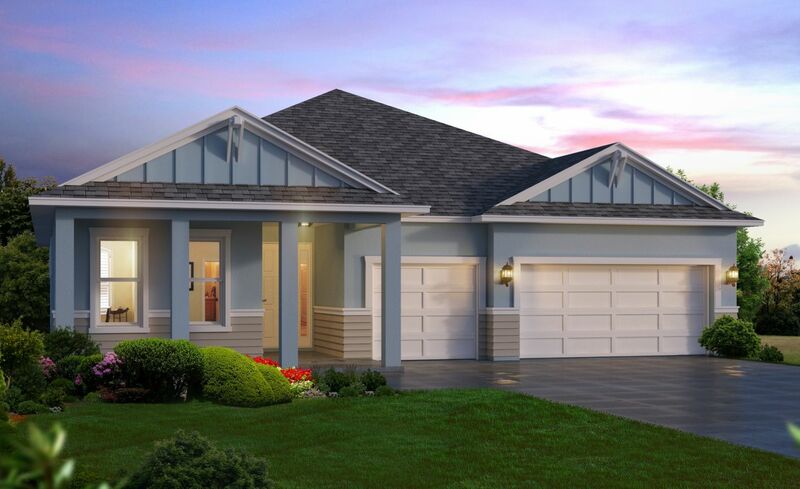 This home is completed with a three car garage - perfect for the growing family! What is the better long-term investment, new or used? See how a resale stacks up against a new Arden.